Looking at the Community Network Map, anyone can see that Iowa is filled with towns that have chosen to invest in publicly owned Internet infrastructure. On May 1st, the community of Pella took a step at the polls that will bring them a little closer to having a "pin" on our map. Ninety-two percent of those voting in the special election chose to authorize the City Council to establish a telecommunications utility. The need for a municipal telecommunications utility is being driven by concerns expressed by citizens and businesses regarding access to highspeed Internet. Furthermore, a municipal telecommunications utility could help meet the long-term high-speed internet access needs of our citizens and businesses. It is also important to note that many rural communities across Iowa have either formed municipal telecommunications utilities, or are in the process of forming the utility. The reasons these communities have authorized the formation of a municipal telecommunications utility are similar to the reasons the City of Pella is considering this issue. At the Institute for Local Self-Reliance, we analyze data and explore public policies to empower local communities. Our initiative staff work on varied issues from composting to broadband, but all these issues affect our daily lives and our communities. 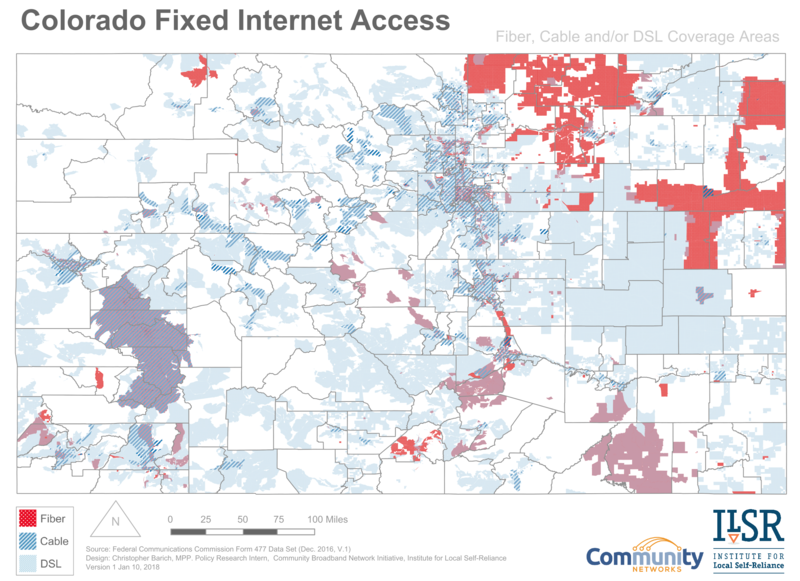 In the Community Broadband Networks Initiative, we often analyze high-speed Internet service availability using the best data that is publicly available. Some of this data, however, is inaccurate, outdated, and misconstrued. The most common source of this data is the Form 477. It is designed to be standard, uniform, and provide the Federal Communications Commission (FCC) with detailed information to make sound decisions. The FCC distributes form 477 to Internet Service Providers (ISPs) in order to collect data on their service availability. This form is only accessible online through a government web portal, and it has an accompanying 39-page instruction document. Some of the information is confidential and stripped away before the FCC releases the data to the general public. 1). ISPs may fill out the form improperly. Some ISPs may misplace key information into the form, creating havoc for those analyzing the data. They may input numbers in Kbps instead of Mbps, causing further confusion. 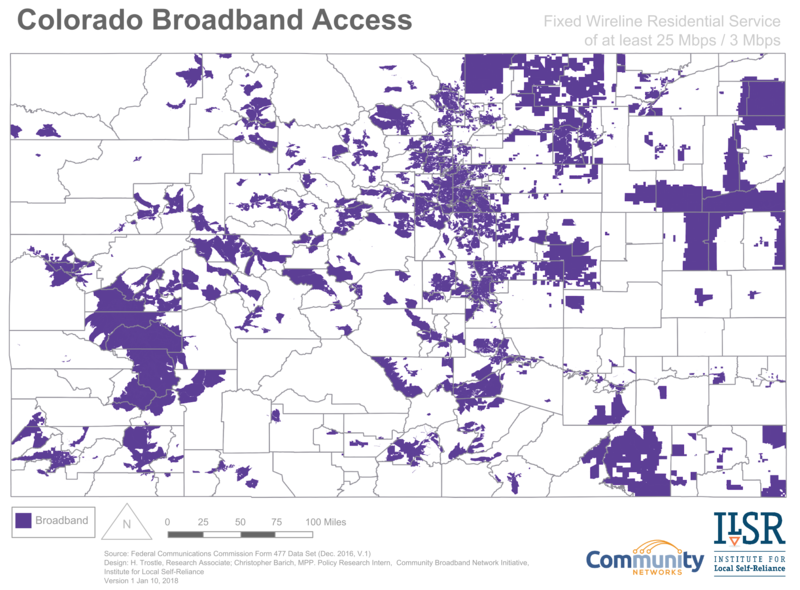 For example, a fixed wireless ISP outside of Rochester, Minnesota, offers a maximum speed of 10 Mbps on their website, but the FCC Form 477 states that this ISP advertises a speed of 244 Mbps. Perhaps the ISP meant customers can usually expect a maximum speed of 244 Kbps? Even then, that doesn’t make sense. 2). The data is out of date. ISPs submit the form twice a year, but the FCC takes time to process this data. By the time we produce maps and research, the underlying data may already be too old to be useful. Mergers may not yet be adequately reflected. For example, at this writing in May 2018 the most recent data currently available is from December 2016. That means the data, the maps, and the research are about a year and a half out of date.